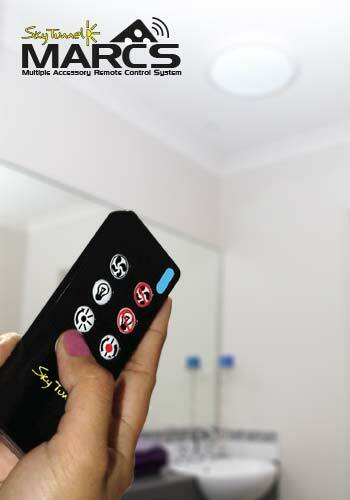 The system uses a “Learning” type remote allowing single or multiple units to be controlled by the one handheld remote control – the choice is yours. The Receiver Input is 12V with a maximum load of 70W. The Exhaust Fan draws 18W, the Vari-light draws 2W and LED Lighting System approx 30W. Transformer Input 110V-240V, 50/60hz.